Salon owner and guru of hair, Tony can cut any style, any texture and any technique that you desire. He has been a natural talent since the very beginning of his career and has always been a student of his profession. He is a true master in the art of precision hair cutting, that has always been his focus since embarking in this industry nearly 2 decades ago. 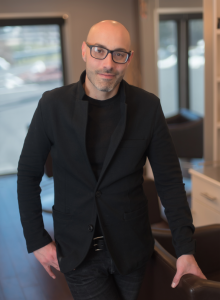 Tony studied hair at Jean Madeline Beauty School (South Street location) and graduated in 1999 when he began working at Gary Charles Salon. He was an overnight success and his book of clientele followed him when he made the decision to open a salon of his own – Love Salon – in 2013. His work has given him extraordinary opportunities to meet amazing people and have many exciting experiences but his heart belongs to his clients and making people feel and know they are loved. Now he is able to pass this culture along to the stylists that work with him on a whole new level. Jenn was hand selected to work directly with Tony as head colorist at the start of Love Salon. She is dedicated to being the best at what she does and works tirelessly until her clients get exactly what they are looking for. 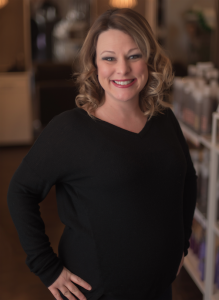 Her credentials speak for her as she is on the Board of American Certified Haircolorists – there are only a handful of colorists with this achievement. Jenn graduated from Arcadia University before deciding that her true passion was hair and she needed to get back on track. In 2004 she enrolled at Empire Beauty School and became a colorist at Gary Charles and Associates Salon. Color has always been her passion because the possibilities are endless. 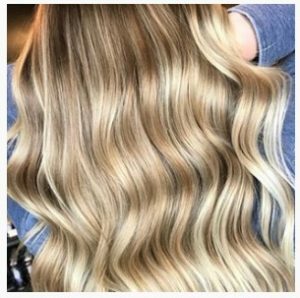 She especially loves the science behind the color formulations which is why she attended the Wella Studio in NYC to become Love Salon’s first Wella Master Color Expert, a very high industry achievement that required 26 full days of studio education and testing. Besides making you look beautiful Jenn recently had her first baby and is thoroughly enjoying motherhood with her husband. Jess joins us with a wealth of industry knowledge and excitement to begin a new chapter in her career. She is the queen of balayage and truly finds joy in helping develop new stylists to excel in their craft. 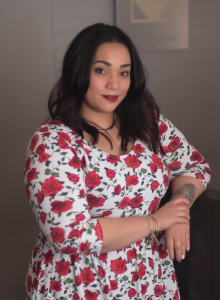 She previously owned her own salon in Bucks County for over 6 years and made a tough decision to come back full time to her first love: her clients and their hair. Love Salon in now her new salon home and she is as funny and real as you can ask for – you will love her fiery spirit and amazing hair inspiration pics she is constantly posting on Instagram. She is married to a great guy and spends most of her free time with her family, attending education classes and positively influencing her cult following on social media! Jordan specializes in precision cutting techniques for men, women & children. He isn’t afraid of trying a new look or making big transformations. His strengths are short precision women’s cuts, bobs and smoothing treatments. Jordan proudly served in the U.S. Marine Corp after finishing high school and is a veteran of the Iraq War. Once home he knew it was time to return to his passion for hair so he enrolled in Empire Beauty School and he hasn’t looked back. 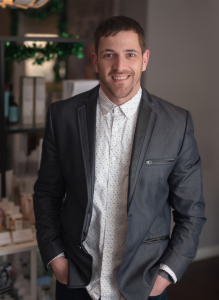 Early in his career he was trained extensively by Love Salon owner, Tony, and now they have joined forces once again under a new roof. He recently became an cutting educator at TruBeauty in Southampton where stylists from all over the area can learn from him. Jordan’s sweet nature and sharp skill set will put you at ease the moment you sit in his chair. You’ll find him relaxing in Wildwood most weekends in the summer or at the VA center cutting hair for the veterans which he really enjoys. 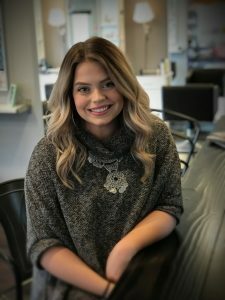 Allison graduated from beauty school and immediately entered into the Apprentice Program at Love Salon where she learned the art of color and trained under our Master Colorists. Her favorite part of being a colorist is the creativity she unleashes in her work. “To help people feel happy and better about themselves is such an incredible feeling.” She is positive and always smiling from ear to ear. Braiding, formal styles and all things color are her strengths. When she is not at work she is hanging out with her adorable little boy – the baby pool outback is her favorite vacation spot…for now! 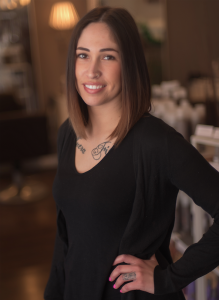 Nicole graduated from beauty school and trained under a Wella Master Colorist at Salon Jolie for one year before coming to Love Salon. She saw the opportunity to take her training and find a salon she could call home to begin her career. She is now a junior stylist and growing her clientele daily! Her skills include both cutting and coloring as well as smoothing treatments and formal styles. She is always on time, precise about her work and you’ll never see her lose her calm. She found her love for hair while she was little, she remembers playing with her grandparents hair and even cutting her cat’s hair once. She also enjoys working out, yoga, reality TV & Netflix. Her favorite vacation spot is Ocean City MD beach. 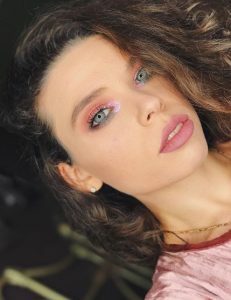 Lourdes graduated from The Beauty Institute in Ambler Pa. in 2016. She is a sweetheart with amazing curls! She is a bi-lingual, speaking both English and Spanish. Lourdes is focusing her career on color specialization so all of her training and advanced education will be directed towards becoming a master at the art of hair coloring. She also waxes and performs bridal services, both hair and makeup. In her spare time she helps her fiancé run their amazing Mexican restaurant right in town. Lindsey has a bubbly and bright personality that you will fall in love with. She is training in color and cutting at Love Salon as well as extensions and bridal services. She has a background in entertainment which easily translates into the salon setting – working as a “party starter” for a local DJ company as well as playing a few Disney characters in Walt Disney World. She is up for any challenge and wants to make all of her clients happy. She has an adorable little boy who also loves Disney! 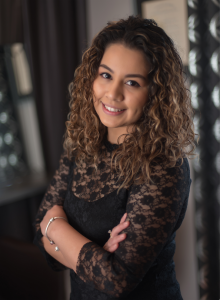 Carmela graduated from cosmetology school in 2018 and has begun her apprenticeship at Love Salon. She has always known that this was the industry and career choice for her from a very young age. Her parents were both born in Italy and often travel back with her to visit family in Europe. She has a flair for fashion, hair, makeup and all things beauty that inspires others around her to try new things. 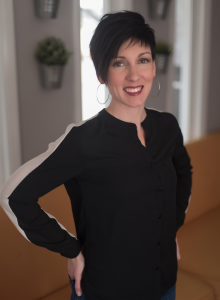 Sara opened Love Salon with husband Tony in 2013 after deciding it was time to take all of the different experiences they both had obtained over the years and combine them into their very own business. She has a degree in graphic design and worked in the design field while Tony was building his hair career. While starting their family Sara also had a successful Arbonne business learning hands on all about beauty products, ingredients, sales, public speaking and how to keep your customers happy. Being with Tony well before he even attended beauty school allowed her to watch from the front row as he built his clientele and worked in a great salon rubbing shoulders with talented stylists all the time although she isn’t a licensed stylist herself. Her most important job is being a mom to her 4 crazy and wonderful kids (5 if you count Tony). Drexel University Graphic Design 2003, Arbonne DM, Serious Business Conferences in NOLA, Art of Business Certification, Art of Business C.A.M.P, Psy-Cosmetology Course with Jay Williams 2018, every book I can get my hands on about how to be a better leader and someone who can create positive change in peoples lives! 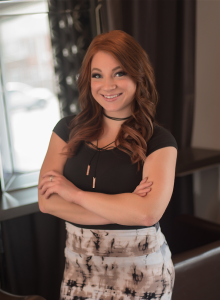 Joely has worked in some of the top salons and spas in Center City and she brings her experience with her as our Salon Coordinator at Love Salon. She keeps everything moving smoothly and enjoys getting to know each of our clients so you always have a friendly face when you walk in our door. Joely is committed to education within this industry so that she can continue to build on her skills and develop new ideas. When she isn’t at work she would prefer to be at the beach – or travelling anywhere – with her awesome “mini-me” son. 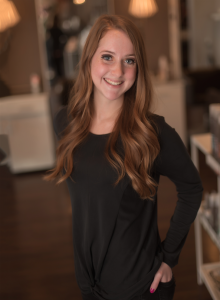 Rachel brings loads of customer service experience with her to Love Salon. She is a joy to speak with behind the desk or over the phone and always has a smile on her face. She is currently enrolled in college courses and studying to eventually enter the dental field as a hygienist. She enjoys Ubering around town and knows all the best spots in town to grab a great bite to eat.